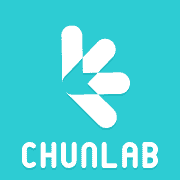 ChunLab is a leading bioinformatics company serving researchers and clinicians in the fields of microbiology, microbiome and infectious diseases (Learn more). We are very pleased to support the microbiologists in developing countries who wish to describe new bacterial species by providing necessary genome sequencing. Purpose: This program is to support microbiologists in non-profit academic institutions who wish to describe new species. Genome sequence data is the foundation for the modern microbiologists, and we believe that every species should be genome-sequenced. If you have new species and limited resources for genome sequencing because you are working in developing countries, ChunLab will provide sequencing for the description of new species. Full-length 16S rRNA sequence data including ab1 files(raw data of Sanger sequencing). What then: We will review if the case is for valid new species. Then we will send you the instruction for shipping genomic DNA for sequencing. What will be provided: We will provide raw data (Illumina FASTQ) and assembled contigs. You have the right to publish data, but data will be shared with ChunLab, Inc. We will not ask the authorship unless we have scientifically contributed substantially (besides genome sequencing). Your obligation: Please make sure that you publish your valuable new species with a high-quality genome sequence. We would appreciate your acknowledgment of this program in the publication. Please note that you will process one species at a time per each PI.